We love building partnerships with local businesses, ensuring that our partnership is not only successful and engaging, but mutually beneficial and focused on the objectives of everyone involved – but don’t just take our word for it, please read our case studies from local businesses who support us. We like to build personalised partnerships that meets your Corporate Social Responsibility objectives. We work with every partner in a bespoke way, tailored to your needs and with agreed outcomes and impact reporting, which includes not only fundraising successes but also the positive effect your contribution is making on our cause. From motivating staff and helping to boost your brand, to supporting an engaging cause and raising awareness, there’s plenty of reasons to join the list of companies involved with Alex’s Wish. 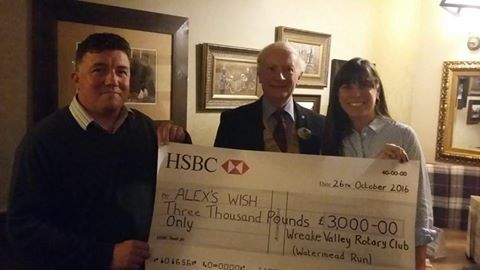 Giving a donation to Alex’s Wish means you can pay less corporation tax. By making a donation, you can deduct the total value of the donation from your total business profits before you pay tax. Making a straight forward cash donation may seem obvious, but it’s one of the easiest ways to do something truly magical and will lead by example to your employees to encourage support from them too. 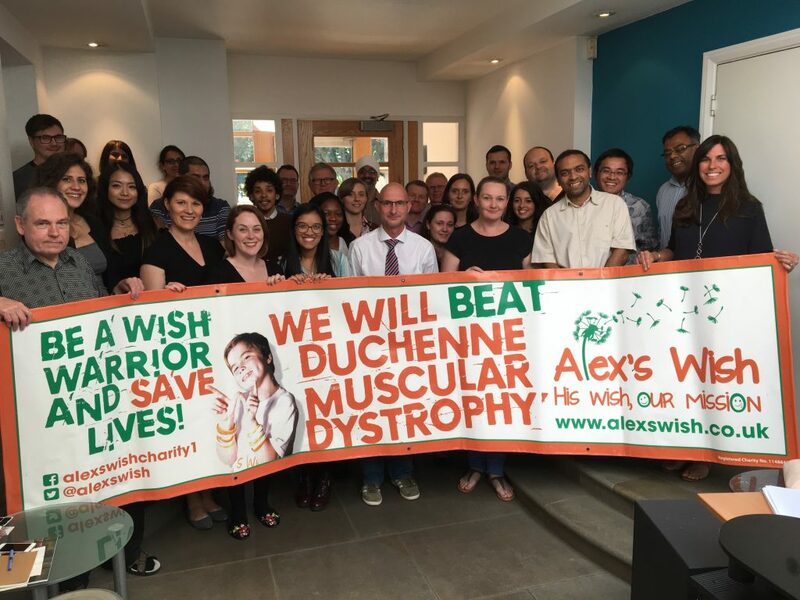 You can chose to either make a single corporate donation to Alex’s Wish or you can choose to make a regular monthly donation through our Business Club. Many businesses tend to chose a charity per year to support, which can change each year. Often it tends to be a member of staff in the office who has recommended a charity to support. Other times, it might go out to vote as a short list of charities are chosen. Hear from local businesses who are working with us. We would love to be on your list of chosen charities to support either this year, or in future years. Please get in touch if you are thinking of choosing us as Charity of the Year to see how we can work well together. We have lots of case studies from local businesses who have taken the leap and got on board to raise vital funds to help cure Duchenne. Please get in touch with us at emma@alexswish.co.uk and we can arrange a convenient time to come and have a chat with you. Download our Business Club Brochure for more details or Register for our Business Club today.